Virgin Money, one of the Virgin companies, was launched with the objective of giving its customers the best possible deals.Virgin credit cards are world class financial products and you can easily understand their terms, conditions and benefits and identify the credit card that best suits your requirements. You can choose the Virgin Credit Card, the Virgin Charity Credit Card, or the Virgin Atlantic Credit Card. The Virgin Credit Card offers 0 percent on balance transfers for the first 18 months, 0 percent on purchases for the first 3 months, 2.89 percent handling fees for the first 60 days, fabulous discounts at all Virgin companies and other top brands, contactless payment facilities and 16.8 percent variable APR. This card is Virgin’s best seller credit card. The Virgin Charity Credit Card is an excellent financial product for philanthropists. If you apply for a Virgin Charity credit card, you can choose to donate to any one of 1,500 charitable organizations. Your favorite charity gets £1 whenever you spend £100 with your card; plus the card offers 8.9 percent promotional APR. You can use your Virgin Atlantic Credit Card to earn 1 flying mile whenever you spend £1, a bonus of 3,000 flying club miles on your first purchase with your card, 0 percent on balance transfers during your first 6 months as card holder with handling fees of 2 percent, APR of 17.9 percent, plus 0 annual fees. The best features of Virgin cards are that they have no annual fees and offer a maximum of 50 days 0 percent interest on all purchases. However, you have to make your payments on time to enjoy all these benefits. Virgin credit cards also have excellent benefits such as discount schemes, low interest on transfer balance, contactless payments, paperless statements, 24/7 online account or telephonic services and much more. You can apply for a Virgin credit card as long as you have completed 18 years of age, reside in the UK and have a building society or bank account. You must visit uk.virginmoney.com if you want to apply online, a process that is simple, quick and 100 percent secure. You can also apply by calling the number 0800 096 9939 from Monday to Friday between 7:30 a.m. to 10:00 p.m., on Saturday from 8:00 a.m. to 9:00 p.m. and on Sunday from 9:00 a.m. to 9:00 p.m.
Virgin Money will take into consideration a wide range of factors such as age, financial background and status before approving your application and issuing you a credit card. Virgin Money also decides credit limits after considering your financial conditions; for instance, if you have just a few loans and a large salary, your credit limits will be higher. 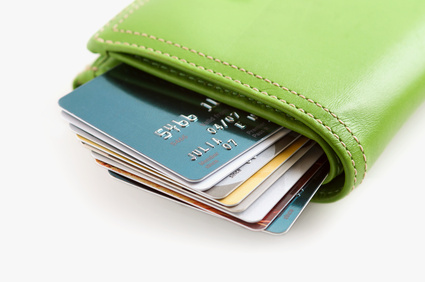 If the company approves your credit card, you will receive it within a week or 10 days. Virgin Money has an excellent customer care service; and you are free to call customer helpline at 0800 015 0306 any time of the day or night.